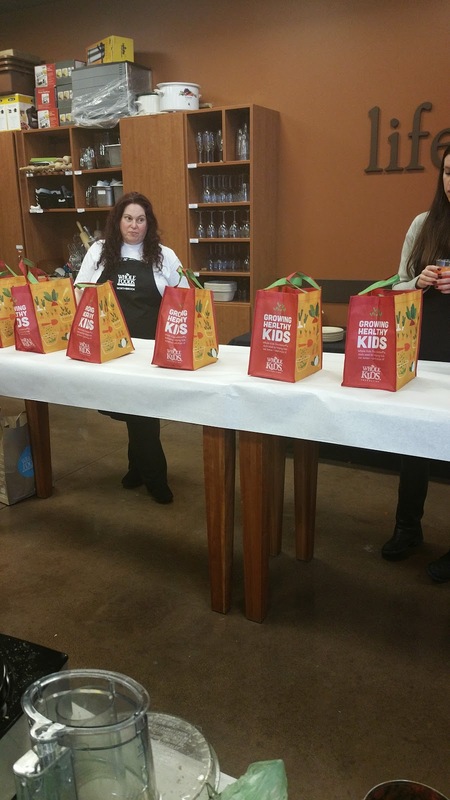 The other weekend, I had the opportunity to attend a blogger cooking class hosted by Katie and Whole Foods Northbrook. 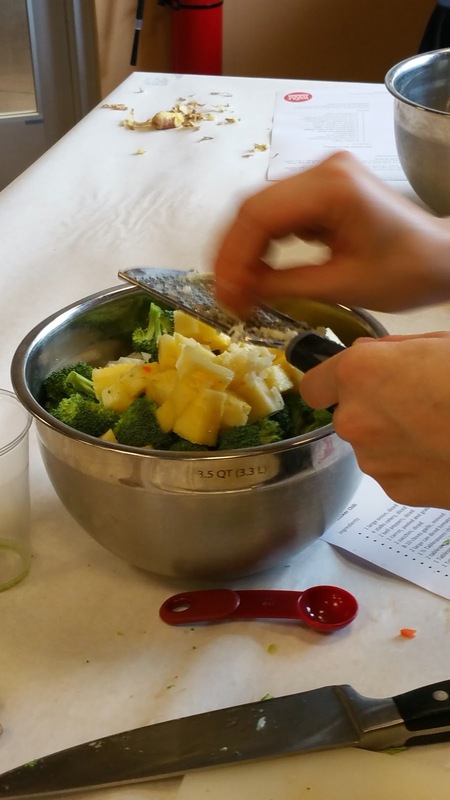 This class was focused on easy meal prepping and quick weeknight snacks. So we received two recipes that were freezer-friendly and could be cooked up in a slow cooker. 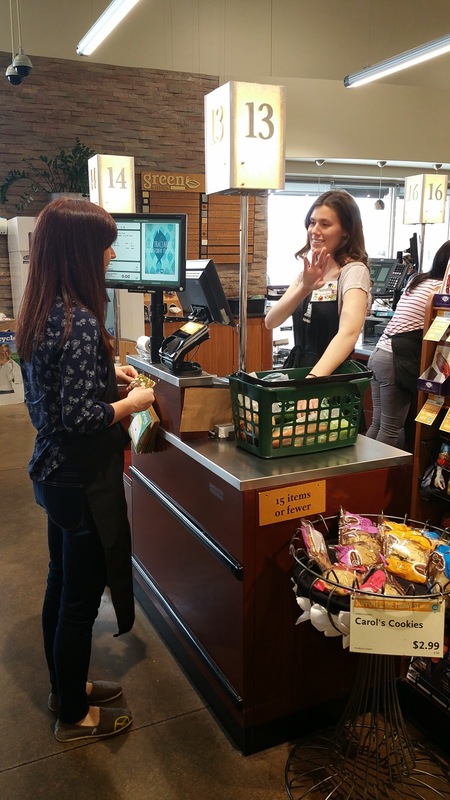 Amy and I partnered up and headed out into the store to collect our ingredients. First we hit up the produce section to grab some veggies for our stir-fry and veggie chili. Then we moved over to the bulk section. 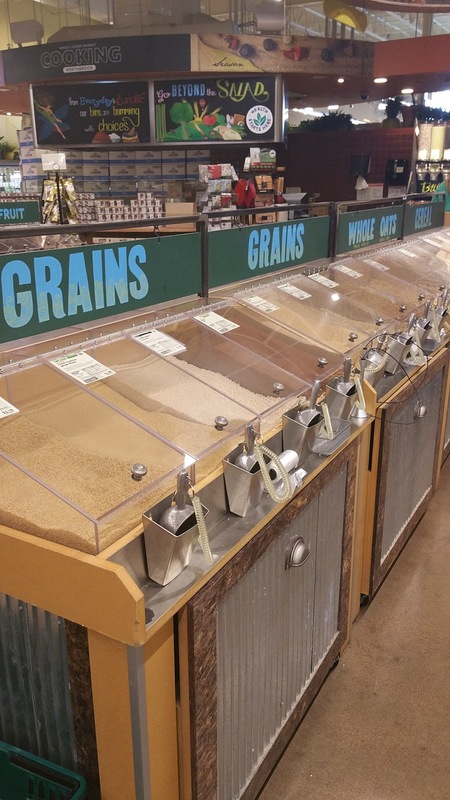 The bulk section at the Northbrook store is huge and puts the one at Kildeer--the Whole Foods that I shop most frequently--to shame. We picked out a grain for our stir fry and decided to try something new and went with wheat berries. I am really excited to try out a new grain. Plus we picked up a few spices to go with our chili. 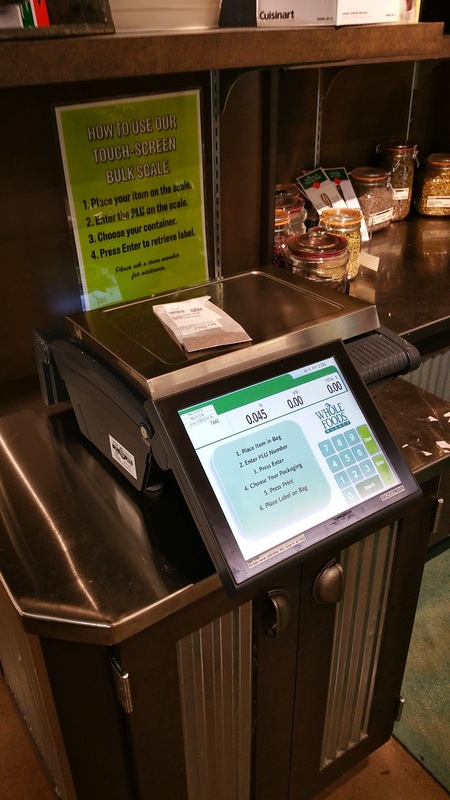 After weighing and labeling our ingredients we headed to the checkout. Before we got started with our prepping, Chef Sara showed us proper knife techniques and demonstrated the best way to cut an onion (by leaving the root on to hold your onion together)! I've been using the technique since and I love it! 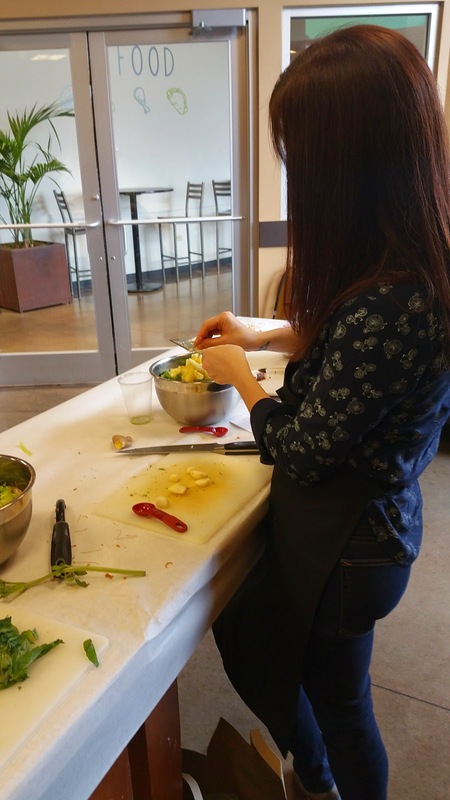 Then Amy and I got to work chopping our ingredients for our recipes. I worked on the veggie chili while Amy prepped the stir fry. 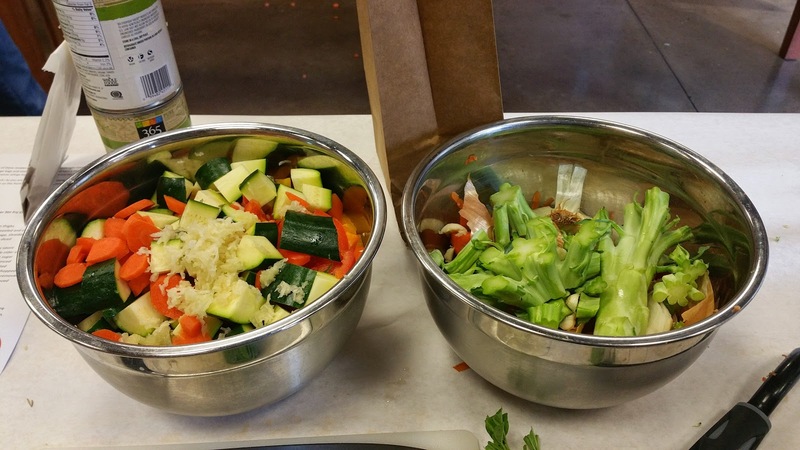 We made sure to save all our vegetable peels and scraps for the vegetable stock we would need for our stir fry recipe. 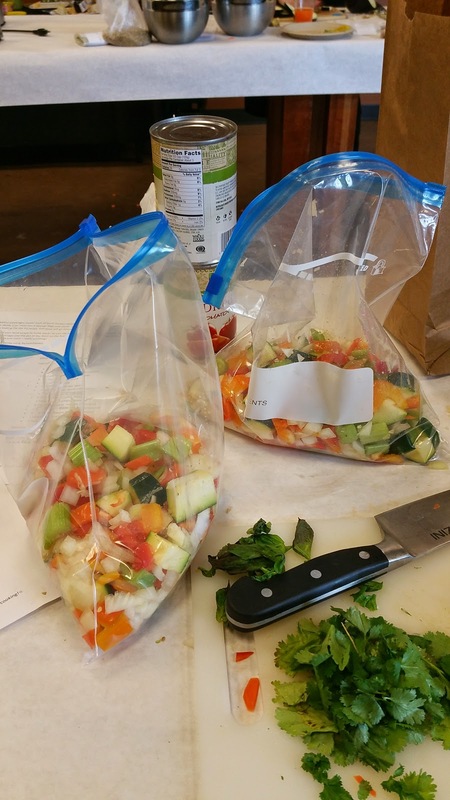 Once everything was chopped, we split each of our meals into two freezer bags. Then we added the wet ingredients like canned tomatoes. 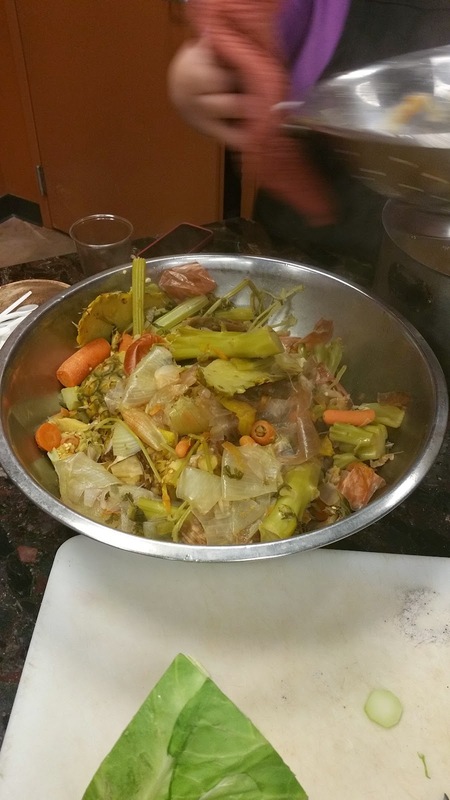 Before starting on our snack recipe, we dumped all our of veggie scraps into a big stock pot. Stock can basically cook and boil down all day long to get the most flavor in your stock. Most times when I cook a chicken or a turkey, I will cook down the bones and skin and meat scraps into a broth with a few carrots, onions, and celery. It is a great way to get more out of your food and broth can be used for just about anything! We didn't have all day to cook our veggie stock, so Sara just did a quick stock by boiling for about 20 minutes. All the liquid is then strained to get the flavorful broth. We did not leave empty-handed either. Each participant left with a bag full of goodies; my bag included olive oil (perfect timing since I just used up an old bottle), hearts of palm, a can of salmon, and red lentils. I have a killer salad recipe in mind for all these ingredients. I'll make sure to share the recipes for the freezer meals when I cook them! Thanks so much to Katie for inviting me to this event and Chef Sara for a great class!